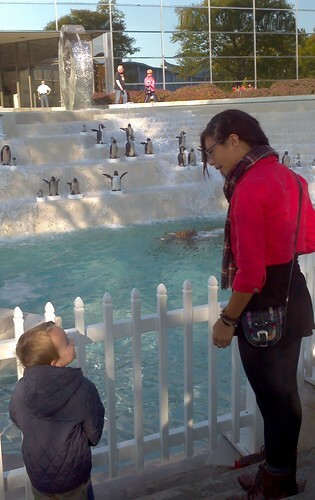 Luke talks about the penguins with my former student, Mayra, who went downtown with us one morning. 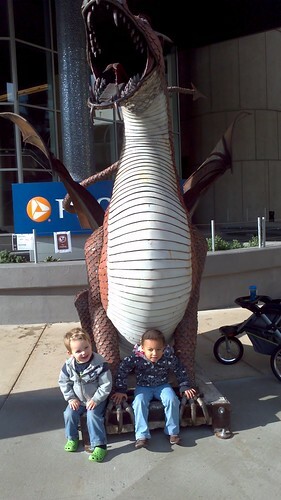 Luke and his friend Sierra show off a BIG dragon! 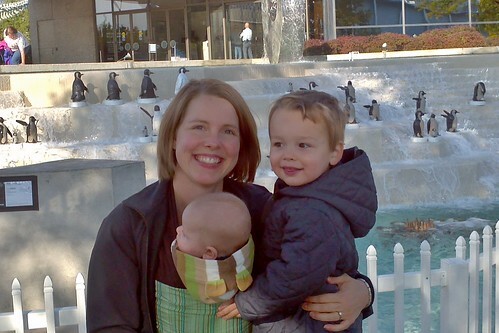 Back at the penguins for a family photo. (They were a big hit with Luke).